Rex Tillerson is a great disappointment as Secretary of State. He opposes the President Trump foreign policy on these five key points and did so even before the inauguration. My goodness! Why on earth Rex Tillerson was nominated is a mystery. Could it be that President Trump is a nationalist only when it comes to domestic economic and trade policies and a globalist when it comes to the military and foreign policy? The two positions are incompatible and irreconcilable. It is as confusing as Trump appointing a myriad of globalists to key Cabinet and National Security Council positions: James ‘Mad Dog’ Mattis, Secretary of Defense; Steve Mnuchin, Secretary of Treasury; Wilbur Ross, Secretary of Commerce; John F Kelly, Secretary of Homeland Security; Reince Priebus, White House Chief of Staff; HR McMaster, National Security Advisor; Dina Powell, Deputy National Security Advisor; Ricky Waddell, Deputy National Security Advisor when McMaster forced out KT McFarland; Gary Cohn, Assistant to the President for Economic Policy and many others. This is nothing short of mind boggling. Embracing a globalist foreign policy is my major criticism of President Trump and just about my only criticism of him to date. These are major issues that defy his campaign promises and threaten the safety, security and sovereignty of America. Why would President Trump want a man as Secretary of State that does not support his agenda? Faithful Trump supporters will look at the five points of disagreement and boast it did not matter for the Trump agenda is being fulfilled on all points. Such statements are evidence of foolishness and blind support for a man without a clue for the implications. President Trump must be able to rely on his team to implement his policies. Not only is Rex Tillerson not willing to implement the Trump policy at the State Department he is in fact defying Trump and the Supreme Court when it comes to Islam refugees. Rex has hired a Never Trump globalist and former Bush administration official Brian Hook as Director of Policy Planning. Rex Tillerson is being swallowed up by the Deep State Swamp Creatures. 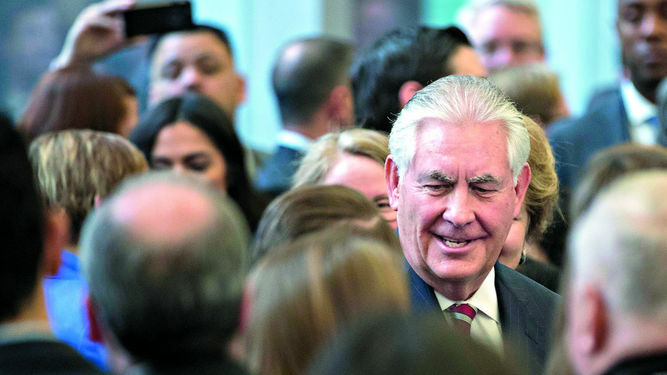 Brian Hook was hired to implement the Rex Tillerson and globalist agenda rather than President Trump’s policy agenda for the State Department. How is this not a disaster at best and sedition at worst? Brian Hook is not merely ignoring the Moratorium on refugees and immigration from the six regions identified in the Executive Order that went into effect this past Thursday, he is increasing the immigration to levels that existed under Islamic emperor Barack Hussein Obama. Hook is the likely leaker of information to the foreign governments during President Trump’s World Tour informing them of increases in immigration and usurping the role of Secretary of State. We brought into the America 2,244 Islamic immigrants from June 2 – 23 which is about 750 per week from the very regions identified in the Executive Order. Brian Hook plans to increase that amount to 1,500 per week between now and fiscal year end. He has no intention of implementing the 90 day moratorium. 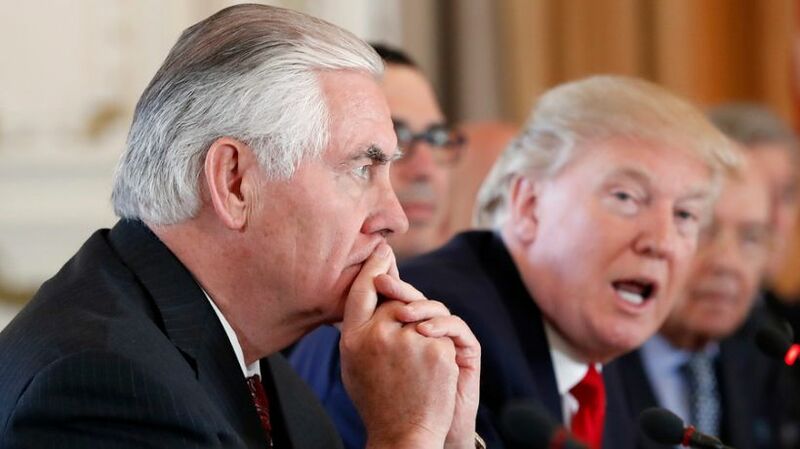 Rex Tillerson is relying totally upon the career bureaucrats for policy decision with all of them being anti-Trump and Obama and Bush appointees. This is wholly unacceptable. President Trump must immediately reel in Tillerson, read him the riot act and have him terminate Brian Hook immediately for insubordination. Dramatic actions must be brought against the insubordinate staffers in the State Department for if they cannot fulfill the policy of the Commander-in-Chief, they are to be terminated from employment. If Hook is not immediately terminated it is appropriate for President Trump to ask for the resignation of Rex Tillerson and fire Brian Hook himself. 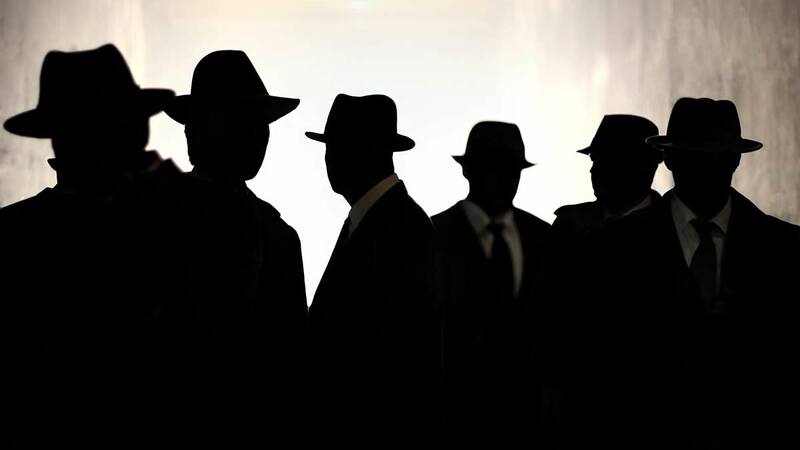 This will create a flurry of leaks no doubt but Trump may set up sting operations to ensnare those criminal leakers are brought to justice. How long can we tolerate such insubordination from deep state operatives? For example, the deep state demanded Rex Tillerson tell Hungarian Prime Minister Viktor Orban to stand down in his efforts to expose Soros’ subversive influence in his country! This has the stench of Tillerson blackmail garnered from illegal spying activity on the Trump team to manipulate the Cabinet to do their bidding contrary to the policies of the Chief Executive. Business as usual from the vile and despicable deep state swamp creatures. Gloves must come off and they must come off now. This coup d’état must be put down for this is happening at every federal branch, department and agency. This is overwhelming even for an alpha male like Trump. Making this information go viral will help put down the insurrection. Evil lurks and works in the shadows and shuns and cowers when under the light. A few prison sentences for the deep state leakers and traitors may go a long way and make the others think twice before doing so. There must be a prison cell with Brian Hook’s name on it. The fish stinks from the head down so severing the head kills the body of stench and from all signs Brian Hook is the head of this insurrection. If Hook’s demise does not put the fear of God into them, then we have thousands of swamp creatures that must be drained (terminated) from the swamp even if it means a 100% turnover in staffing at the State Department. Such treachery must must be dealt with firmly and forcibly. The government coup d’état against President Trump can only have one outcome and one victor. Under no circumstance can it be the deep state. President Trump success is the only hope for avoiding an active military Revolutionary War. Though this seems crazy we must remember we outnumber them close to 100:1 if not more. The media creates the illusion with their fake polls that the resistance has greater numbers and resources. They do not. 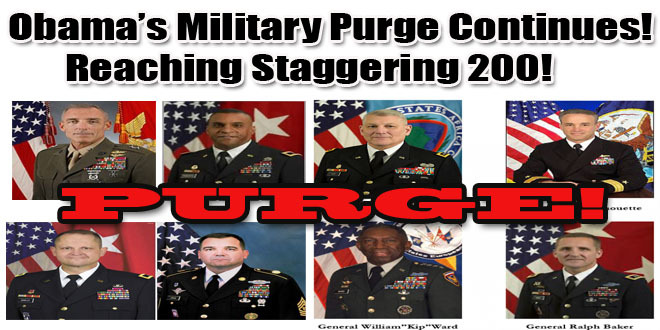 The military however is not on our side for Obama purged more than 200 generals and top brass who are loyal to the United States sovereignty out of military service leaving only the globalists. The deep State is seeking to pull off a ‘Continuity of Government’ (COG) coup this summer by overturning the entire 2016 election if they can. We are now entering an extremely dangerous period in our nation’s history and every faithful citizen has their role to play. Again, make this information go viral and post and discuss on your social media sites. Nobody has the luxury of sitting this one out. Semper Fi Do or Die! We fight for our right to live free. Article: Did Sec. of State Tillerson’s Right Hand Man, Brian Hook, Set A Major Policy Shift on Refugees? « American Pravda: CNN, Part 3 Americans Stupid as $hit!